EADA continues to support the Chinese community in Spain, while at the same time working towards establishing new lines of collaboration with Chinese companies and institutions. This year, EADA presented “China Spain Innovation & Ventures”. 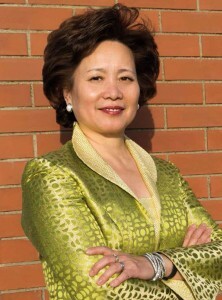 The platform was set up last summer by Margaret Chen –member of the EADA International Advisory Board and honorary president of China Club Spain– in order to promote entrepreneurship among the Chinese community in Barcelona and to provide innovative solutions to Chinese companies in R&D&I. According to Ms Chen, “For some years now, a new generation of companies has begun to emerge in China whose differential value lies in innovation, and these companies seek out creative projects that enable them to continue to grow in a competitive environment”. She went on to add that “there is growing interest among the Chinese community living in Spain in starting up businesses based on innovative and cutting-edge ideas”. The initiative has the support of the EADA Entrepreneurship Centre, which has volunteered to train the Chinese community on how to prepare a business plan and how to identify the best pitching techniques for potential investors.